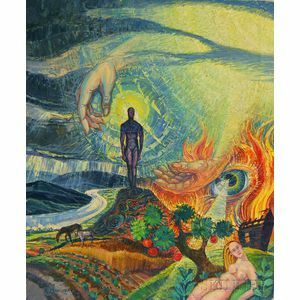 Robert Moeller (German/American, 1899-1984) Adam and Eve in a Surreal Landscape. 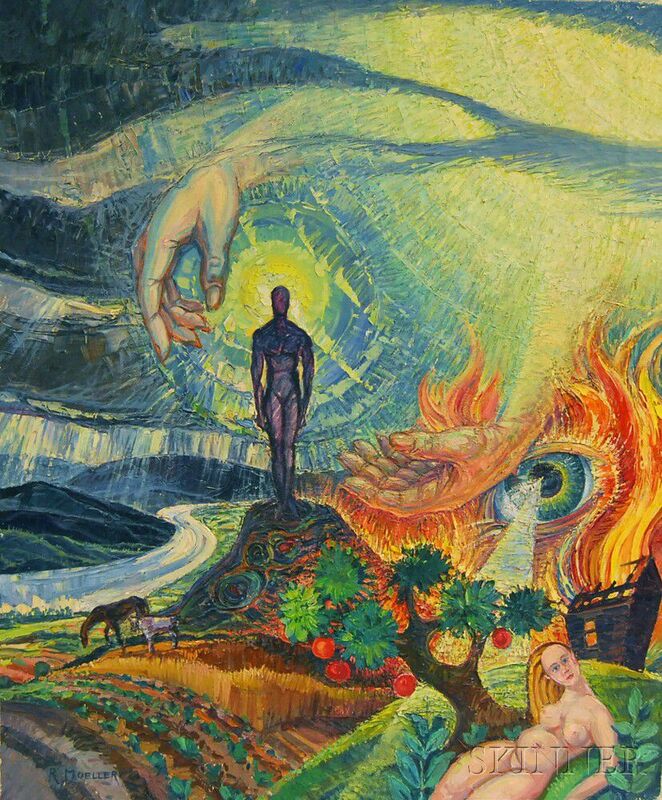 Adam and Eve in a Surreal Landscape. Signed "R MOELLER" l.l. Oil on canvas, 29 7/8 x 24 7/8 in., unframed. Condition: Surface grime, craquelure, scattered minor paint losses.